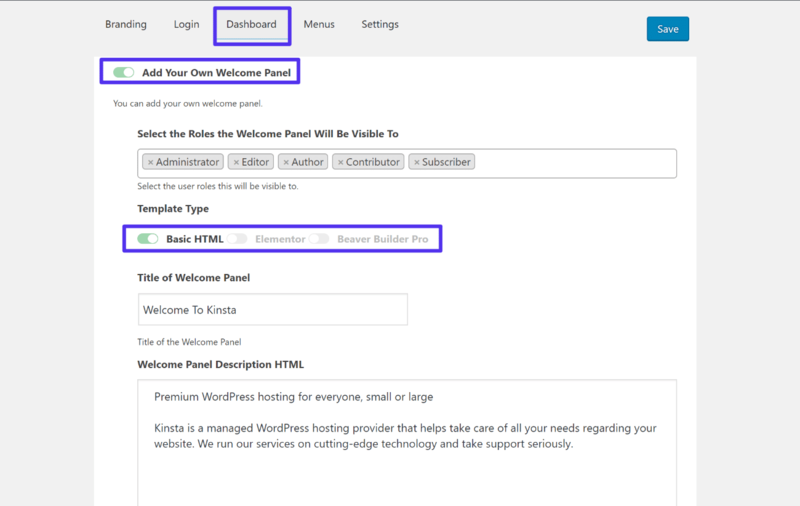 Want to create a WordPress custom dashboard at your site? You might want to create a more customized experience for your clients or third-party users (like freelance writers or bloggers). Or, you could be working on your own site and just looking for a way to create a more streamlined admin experience that matches your workflows. We’ll start off by showing you how to use an all-in-one plugin that does a little bit of everything. Then, we’ll share some more niche tools to more deeply handle the specific customization areas we mentioned above. Let’s start customizing! Before we dive into the tutorial, it’s important to remember that heavily customing your WordPress dashboard may result in slower back-end performance (or in some cases, it may load faster depending on what you’re doing). This will typically only impact those that are logging into your site, not the front-end. The front-end of your site should be serving primarily from WordPress cache. As with everything WordPress, it’s important to test before and after. Or better yet, make these changes first in a staging environment before rolling it out to your production site. This is especially important if you have guest bloggers or clients logging into the back-end of your site on a daily basis. The speed of your WordPress dashboard is important, and a lot of times it’s overlooked when it comes to performance optimization. This plugin is marketed as a solution for developers to create a more custom-looking dashboard for clients, but it can also be valuable if you’re working on your own site, as well. Once you install and activate the plugin, head to Settings ? 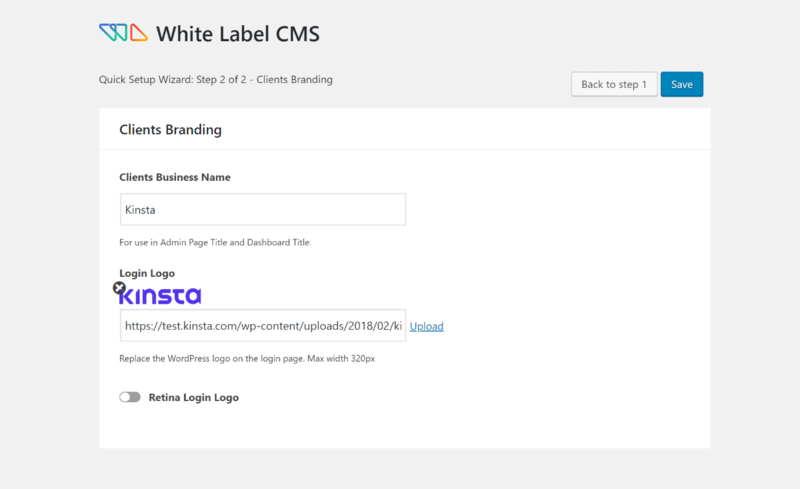 White Label CMS to run the setup wizard. Once you finish the setup wizard, you’ll unlock the full settings area, which gives you access to lots of other settings. 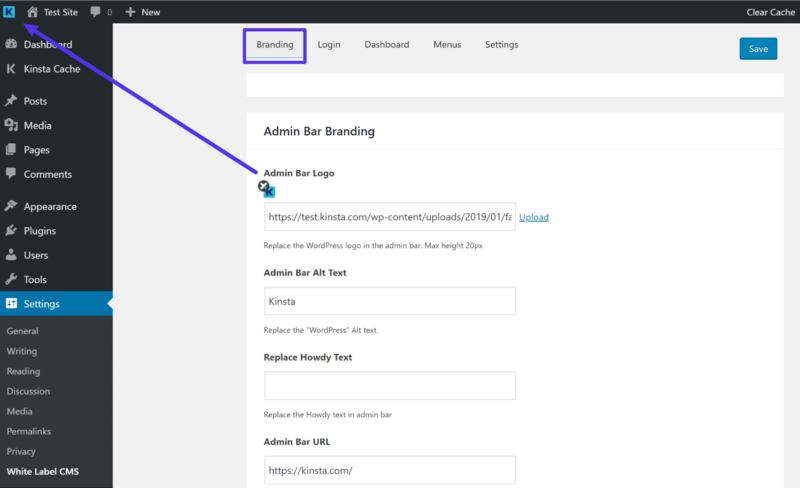 For example, if you scroll down to the Admin Bar Branding section, you can add your own logo to replace the WordPress logo in the top-left corner of the interface. 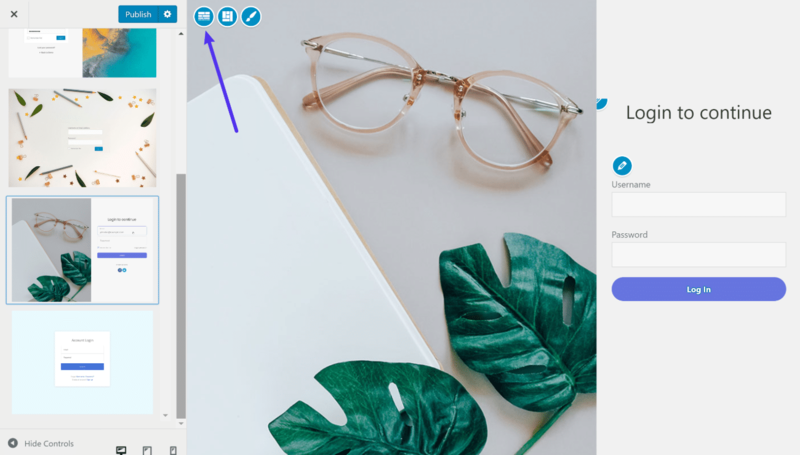 Once you’re finished with the branding settings, you can go to the Login page tab to customize the WordPress login page. 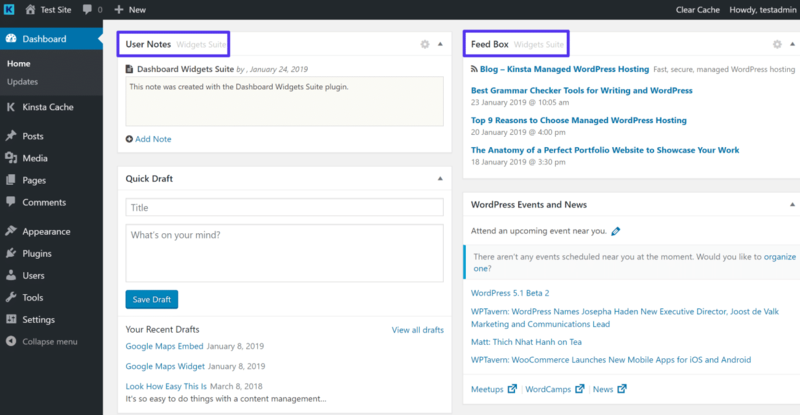 If desired, the Dashboard tab lets you add custom dashboard widgets that will appear on the main WordPress dashboard page. 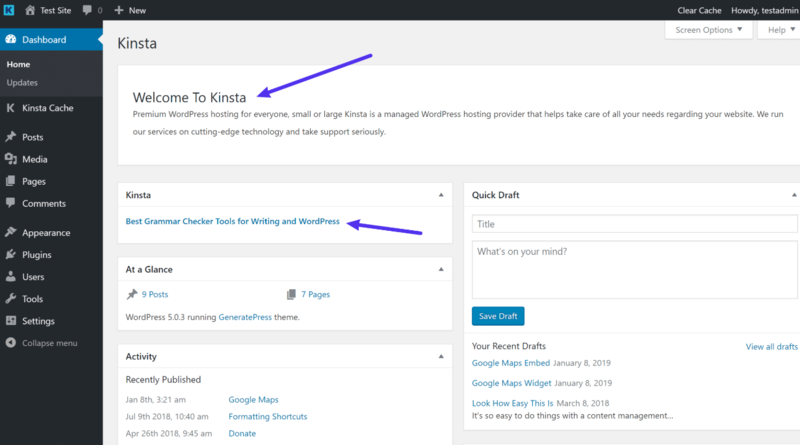 If you have a lot of plugins active on your site, the WordPress dashboard sidebar and toolbar can start to get a little crowded. And that’s a quick introduction to how to customize the WordPress admin dashboard using a single all-in-one tool. Now, we’ll cover some more detailed plugins that target specific areas of the dashboard. 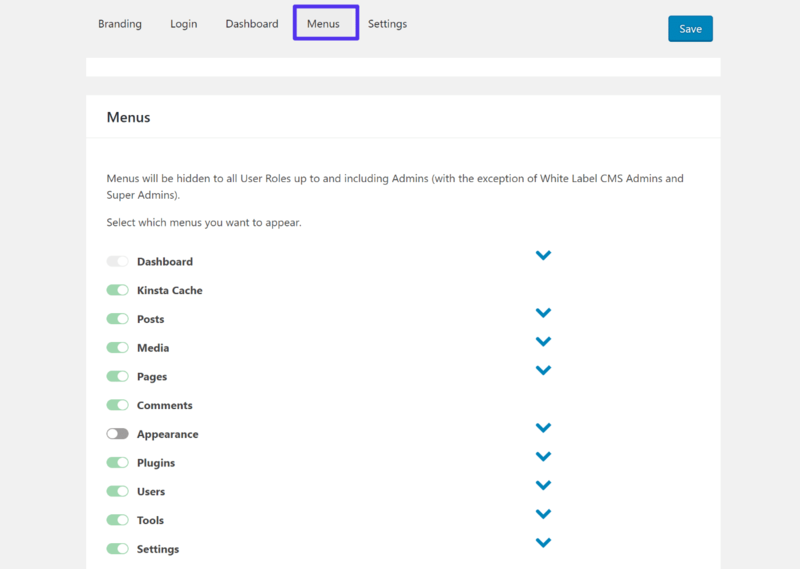 If you’re specifically interested in customizing the WordPress dashboard sidebar menu, you can use a dedicated plugin called Admin Menu Editor. Change the names for menu items and add your own icons, CSS classes, etc. Re-organize the menu items, like creating a new parent category. Create custom menu items that link to custom URLs. 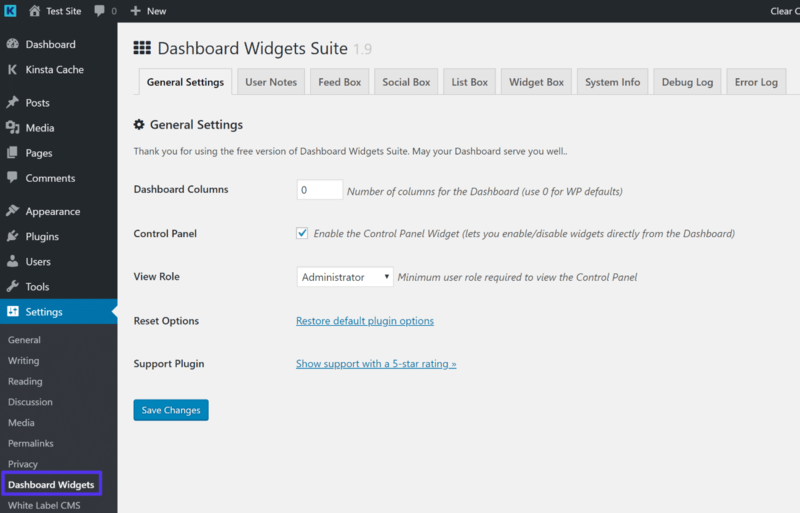 If you want more flexibility to create custom dashboard widgets or a custom welcome panel, you can use the free Dashboard Widgets Suite plugin. To get started, install and activate the plugin from WordPress.org. Then, go to Settings ? Dashboard Widgets to configure the plugin. By “post or page list”, we mean the admin page that lists all of your posts, pages, or custom post type items. For more flexibility, though, you can use the free Admin Columns plugin. Once you install and activate this plugin, you can go to Settings ? Admin Columns to add new columns or remove/rearrange existing columns. 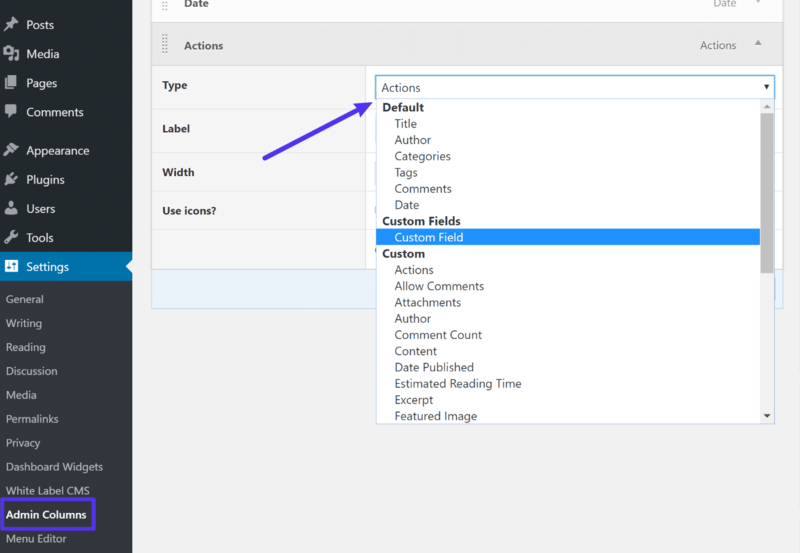 If you’re using something like Advanced Custom Fields, you’ll also be able to include your custom fields as their own columns. 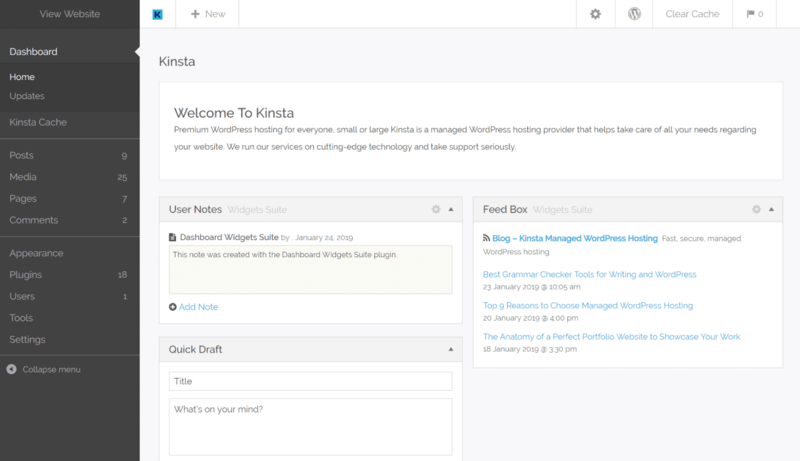 WordPress admin themes are not “themes” in the true WordPress sense of the word. Rather, they’re plugins that act as a theme for your back-end dashboard area. Unlike the methods above, they aren’t changing the underlying layout or functionality of your WordPress dashboard area. Instead, they just give you a new look. The Flatty admin theme applies flat design principles to your WordPress admin dashboard. It also gives you some basic white-labeling functionality, as well. Whereas Flatty adds flat design principles, Aquila adds a nice material design look to your admin dashboard. It also gives you some additional options to customize menu items, branding, and widgets. 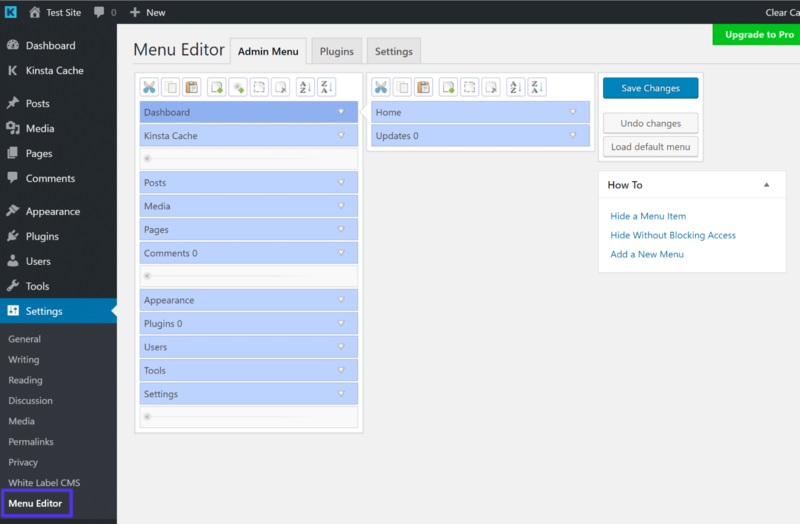 Kodeo Admin UI reskins your entire admin UI, including buttons in the Classic WordPress editor. Finally, while it’s not technically part of your admin dashboard, your WordPress login page still plays an important role in getting people into the dashboard in the first place. 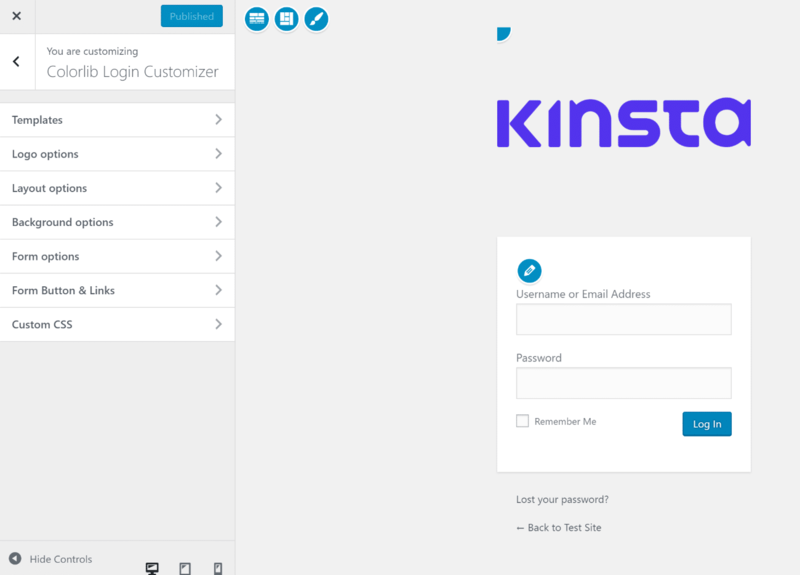 There are several quality plugins to help you customize your WordPress login page, but Custom Login Page Customizer makes a good starting point because it lets you visually customize your login page using the native WordPress Customizer. 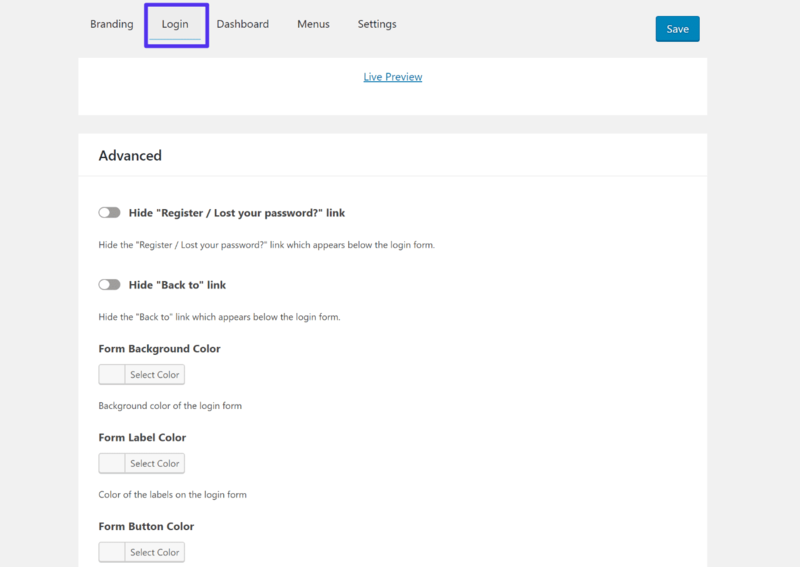 Once you install and activate the plugin, you can click on the new Login Customizer menu item to open the WordPress Customizer. 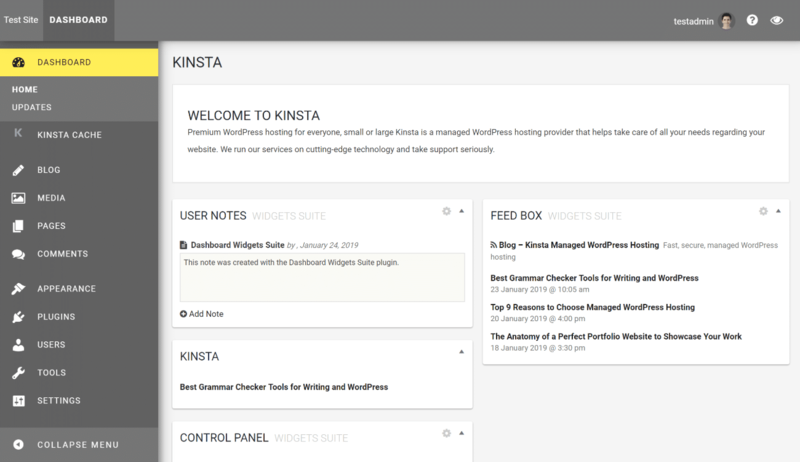 Create a Customized WordPress Admin Dashboard Today! 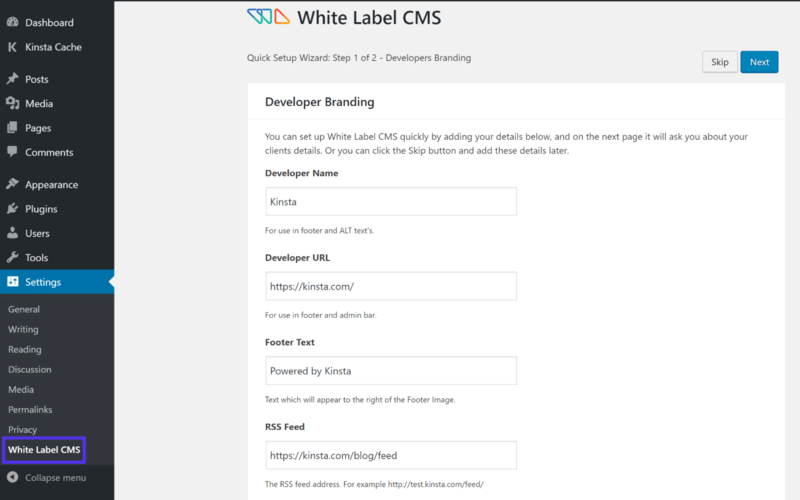 For an all-in-one solution to customize most areas of the WordPress admin dashboard, the free White Label CMS plugin makes a good starting option. 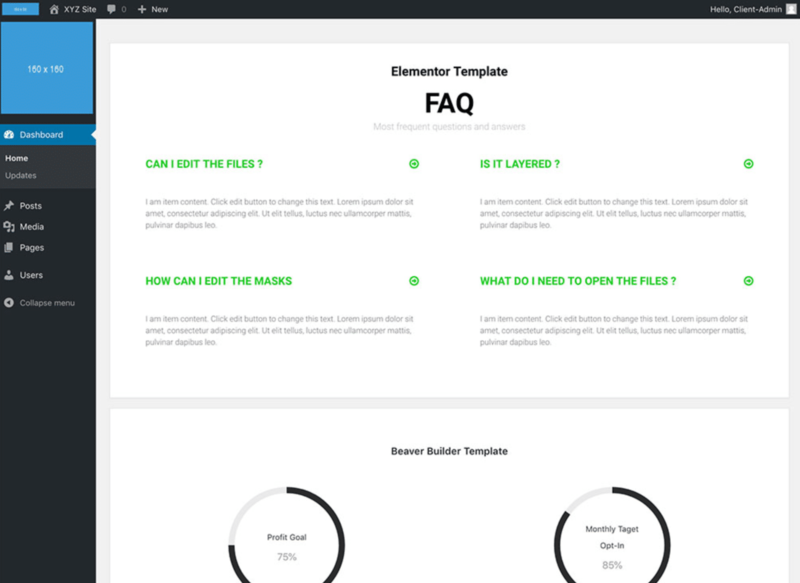 Do you have any other questions about how to create a WordPress custom dashboard? Let us know in the comments section! Next: Next post: Kingdoms, Countries and Blockchains.